Nicky Totman, an Exceptional Education student at Oswego County BOCES, paints a pumpkin at the Fall Festival organized by students in the Project Explore Program. Project Explore students cut out the pumpkins as part of a classroom learning project in their manufacturing class. The fall season is upon us – the days are getting shorter, the nights colder and the leaves are a bounty of color. 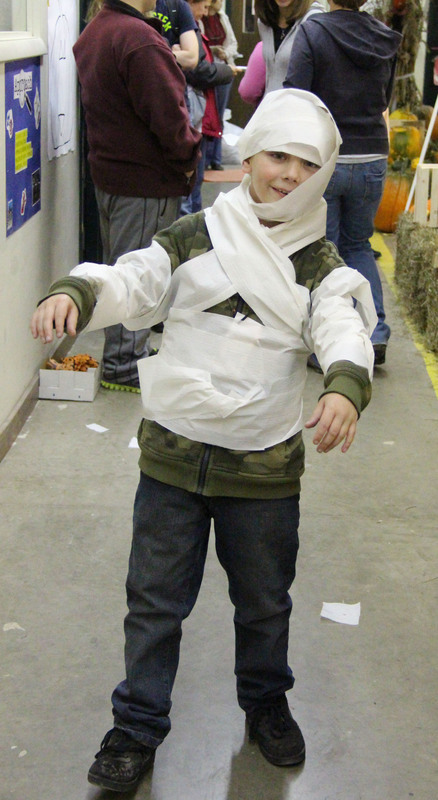 To celebrate this beautiful season and all that it offers, the students enrolled in the Project Explore Program, formerly the Multi-Occupations Program, at Oswego County BOCES put their classroom skills into action and organized a Fall Festival. Project Explore students took scarecrow making to an entirely new level in their welding class. The students cut and welded metal pieces, creating a frame and stand that they outfitted in the finest scarecrow apparel for the festival. While in their Manufacturing class the student made crates that they used to decorate the festival and that they will later sell as part of a student-club fundraiser. 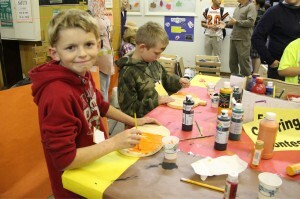 The students also cut out wooden pumpkins for young festival guests to paint and crafted wooden rings for a ‘Ring Around The Pumpkin” game. Project Explore students also organized several fall-themed carnival games for the festival, offered face painting and coordinated a haunted hangout for festival-goers. Toilet paper and some creative decorating is all it took to transform Thomas Checksfield, an Oswego County BOCES Exceptional Education student, into a mummy for a fall-themed festival at his school.